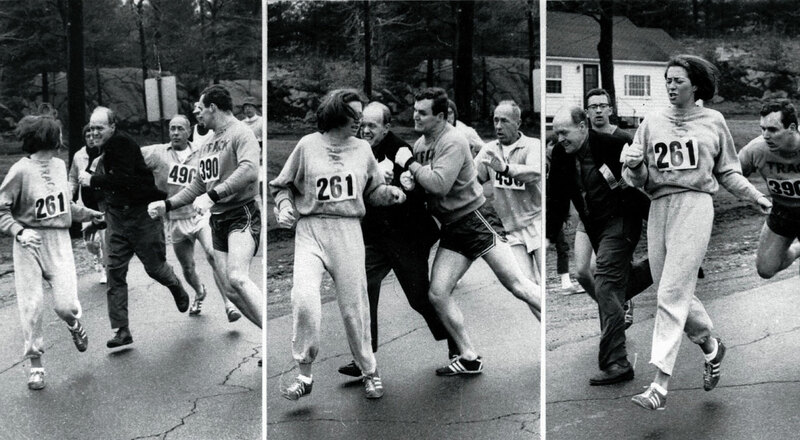 The presence of a woman—20-year-old Katherine Switzer (261)—in “his” race so incensed race director Jock Semple that he charged Switzer in an attempt to push her from the course. Instead, Semple was sent flying by Switzer’s boyfriend, hammer thrower Tom Miller. Semple would later apologize to Switzer, and in 1972 the marathon officially welcomed women.